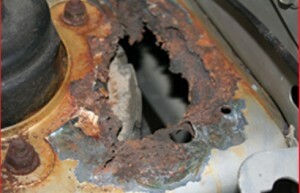 Would you expect a dealer to have kept previous owner's maintenance records? 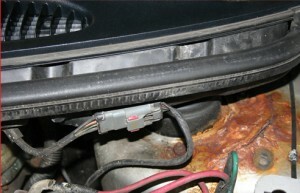 Many people neglect or fail to notice their headlights until it is too late. Headlight Maintenance is a necessity today because it is a safety issue. Cloudy head lamp lenses can be a safety hazard while driving. It has been well documented by safety industries that dim headlights have played a serious role in major car accidents. Foggy headlight lenses reduces the output of the headlamp and could put your family at risk. The dull headlights that decrease nighttime visibility and can contribute to unsafe driving conditions on the road. By maintaining proper light output of your vehicle’s headlights by simple maintenance and by headlight cleaning many of these accidents could be avoided. 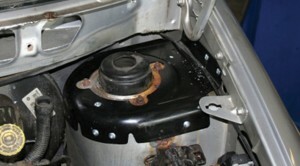 I started this post to help the Weekend Warrior solve problems they may encounter when repairing their vehicles at home. Whether it’s a technical question regarding repair or refinish issues a product recommendations or use, information resources, hard to find parts or just a general “How To” question. Please feel free to post your questions, comments, and photos. I look forward to helping everyone complete their own “Dream Car”. copyright © 2009 The Body Shop, Inc. All rights reserved. Auto Accident — Now what? I’ve been involved in an accident, Now What? The State of Michigan says that you are required to file a police report on any accident involved on the road way. If the police cannot come to the scene in a reasonable amount of time, you can exchange information with the other party and drive to the police department of the municipality in which the accident occurred and file a report. If your vehicle is being towed from the scene of the accident, ask if they can tow the vehicle to the repair facility. While they may not be always be able to do this, it’s always a good idea to ask. Remember to take all personal belongings out of the vehicle before it leaves the scene. YOUR VEHICLE COULD BE THE VICTIM OF THEFT OR ADDITIONAL DAMAGE AT THE TOW FACILITY!! Contact The Body Shop, Inc at your earliest convenience. We will help walk you through the claim filing process with your insurance company. RELAX… You’re in good hands with The Body Shop, Clinton Township, Michigan (Macomb County)!! Gary Oakie is the owner of The Body Shop, a Collision Repair Shop located in Clinton Township, Michigan (Macomb County). Gary has over 30 years of experience in auto body repair and refinishing. He is also a specialist in Corvette repair. Posted in Uncategorized | Comments Off on Auto Accident — Now what?